Water Safety – Make it YOUR priority! Make Water Safety your Priority! Water is an amazing thing… It soothes us. Its serene, sparkling surface invites us in to enjoy a dip, especially on hot summer days. But its allure can be dangerously deceptive. Calm water can hide strong currents, hidden debris, sudden drop-offs into deeper water, and colder temperatures. Such dangers take many lives each year. According to the National Center for Injury Prevention and Control, drowning ranks as the number two killer of its most vulnerable victims — children. Swim in designated areas supervised by lifeguards. Always swim with a buddy; do not allow anyone to swim alone. Even at a public pool or a life guarded beach, always use the buddy system! Ensure that everyone in the family learns to swim well. Enroll in age-appropriate water orientation and Learn-to-Swim courses. Never leave a child unattended near water and do not trust a child’s life to another child; teach children to always ask permission to go near water. Have young children or inexperienced swimmers wear U.S. Coast Guard-approved life jackets around water, but do not rely on life jackets alone. Establish rules for your family and enforce them without fail. For example, set limits based on each person’s ability, do not let anyone play around drains and suction fittings, and do not allow swimmers to hyperventilate before swimming under water or have breath-holding contests. Even if you do not plan on swimming, be cautious around including ocean shoreline, rivers and lakes. Cold temperatures, currents and underwater hazards can make a fall into these bodies of water dangerous. If you go boating, wear a life jacket! Most boating fatalities occur from drowning. Avoid alcohol use. Alcohol impairs judgment, balance and coordination; affects swimming and diving skills; and reduces the body’s ability to stay warm. 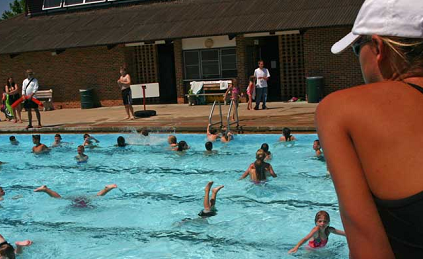 Actively supervise kids whenever around the water—even if lifeguards are present. Do not just drop your kids off at the public pool or leave them at the beach—designate a responsible adult to supervise. Always stay within arm’s reach of young children and avoid distractions when supervising children around water. Would You Know What to Do? Emergencies can happen anywhere, anytime. In an aquatic emergency, every second counts. Survival depends on quick rescue and immediate care. From 2009-2013, there were an average of 3,533 fatal unintentional drownings (non-boating related) annually in the United States — about ten deaths per day. An additional 347 people died each year from drowning in boating-related incidents. About one in five people who die from drowning are children 14 and younger. For every child who dies from drowning, another five receive emergency department care for nonfatal submersion injuries. More than 50% of drowning victims treated in emergency departments (EDs) require hospitalization or transfer for further care (compared with a hospitalization rate of about 6% for all unintentional injuries). These non-fatal drowning injuries can cause severe brain damage that may result in long-term disabilities such as memory problems, learning disabilities, and permanent loss of basic functioning (e.g., permanent vegetative state). Children: Children ages 1 to 4 have the highest drowning rates. In 2013, among children 1 to 4 years old who died from an unintentional injury, more than 30% died from drowning. Among children ages 1 to 4, most drownings occur in swimming pools. Drowning is responsible for more deaths among children 1-4 than any other cause except congenital anomalies (birth defects). Among those 1-14, fatal drowning remains the second-leading cause of unintentional injury-related death behind motor vehicle crashes. Minorities: Between 2009 and 2013, the fatal unintentional drowning rate for African Americans was significantly higher than that of whites across all ages. The disparity is widest among children 5-14 years old. The fatal drowning rate of African American children ages 5 to 14 is almost three times that of white children in the same age range. The disparity is most pronounced in swimming pools; African American children 5-19 drown in swimming pools at rates .5 times higher than those of whites. This disparity is greatest among those 11-12 years where African Americans drown in swimming pools at rates 10 times those of whites.Factors such as access to swimming pools, the desire or lack of desire to learn how to swim, and choosing water-related recreational activities may contribute to the racial differences in drowning rates. Available rates are based on population, not on participation. If rates could be determined by actual participation in water-related activities, the disparity in minorities’ drowning rates compared to whites would be much greater. Need to renovate or build a community pool? STOP!!! And consider this information. If you are in need to renovate or build a community pool, consider this important information. Before planning to invest tens or even hundreds of thousands of dollars on a new aquatic facility or a newly renovated aquatic facility….carefully consider what attracts “water goers” to aquatic facilities. Yes, we know that local swim teams have a loud voice that wants to be heard for that new or newly renovated swimming pool your planning… and yes, even the elderly wants to have its time to be able to enjoy some lap swimming. But if your goal is to ATTRACT and GENERATE revenue so that your investment dollars pay for themselves, you must take a step back and get a clear vision to how to get a return on your aquatic investment. Do yourself and your community a favor. STOP THE INSANITY of a traditional swimming pool and be wise to the way of the aquatic world. It just might do YOU and YOUR COMMUNITY some good! Sorry lap swimmers and swim team organizers, but the “traditional” swimming pool as we all have known it is a dying breed. Besides the local community swim team using the traditional swimming pools one and a half months (for seasonal pools) out of the year or for year round facilities swim teams may use them 3-4 months out of the year, there is not much else to offer the new generation of water goers. Traditional swimming pool have become viewed as an ancient dinosaur that is outdated and expensive to maintain and keep operationally. By in large that is why so many aquatic facilities have been forced to close there doors. In addition to the expense of a traditional swimming pool is the fact that there is little to gain for attracting people to come and enjoy a day of swimming. Fun in the sun is no longer just splashing around in an over sized bathtub. These traditional swimming pools were a big boom in the mid to late 1900 for people to cool off and organize lap swimming and swim teams. This trend has kept pace throughout the last part of the 1990’s. However, since the turn of the century water goers have realized that traditional swimming pools are not that exciting for young swimmers now a days. With peoples entertainment dollars being stretched to its limits, aquatic facilities have found themselves behind the eight ball. Young people enjoy “interactive water features” such as “zero depth” entry pools (also known as beach entry pools), water features with water spraying devices, splash pads, water play grounds or fun pools, water slides, water flumes, lazy rivers and waterfalls to name just s few of the examples for having fun in the sun. This day and age of wading in a swimming pool that typical 75 x 40 Jr Olympic pool that has no diving and no deep ends is a thing of the past. Aquatic personal that are ahead of the curve are planning and design to build pools that accommodate both parties (lap swimmers and water goers). It is the best way to try to accommodate all parties involved and maximize the entertainment dollar. Aquatic labor shortages are challenging swimming pool operators around the country. With the industry picking up throughout most of the country, businesses are facing a problem they didn’t expect until further up the sales curve — a shortage in labor. Between 2013 and 2015, difficulties finding skilled labor was perhaps the No. 1 complaint among professionals in all industry segments. That talk stopped during the recession as local markets contracted by as much as 80 or even 90 percent. Now that the national economy seems to be on an upswing, companies are looking to grow again. Many figured that there would be plenty of workers available who had left the pool and spa field and were ready to come back. Reports of labor shortages seem most prevalent in areas such as Phoenix, Sacramento County, and certain parts of Florida, which had experienced the largest construction booms last decade only to be hit hardest in the recession. While the problem doesn’t seem as prevalent in the Northeast and Southeast, those areas haven’t been immune. In some cases, the response to job advertisements has been even less than it was at the height of the economy. Some experts believe that the industry’s severe contraction caused professionals to leave in droves and gain other skills. In addition, many immigrants couldn’t stay in the country when work ran out, either because employment was a condition for their green cards or because they couldn’t make ends meet. Yet it seems the staffing problem may have deeper roots than the recession. As many pool and spa professionals move toward retirement, there aren’t enough young people to take their place. Other professionals report that they’re hiring candidates with solid work ethics, but no pool experience, and having to train them. These drowning facts and figures should get your attention. The second largest number of accidental injuries occur to teenagers, primarily males. Often the victim has been drinking alcohol and has dove into the pool in an area too shallow for diving, or from a location not intended for diving. Many of those who “drink and dive” end up in a wheelchair, if they’re lucky. Alcohol and spas are also a potentially lethal combination; the hot water and the alcohol combine to cause individuals to fall asleep and drown in only three feet of water. NSPI statistics show that drowning and swimming accidents are best prevented by adult supervision, public awareness programs including water safety training for young children, and not drinking alcohol while swimming, diving or soaking. Statistically, most accidents involving drowning or severe injury occur to children under 5 years of age who are unsupervised, cannot swim, and fall into a pool or pool cover with water on top. Toddlers at the age of 2 or 3 are most likely to wander off from a parent’s supervision. Drowning is NOT accompanied by loud noise or splashing sounds. DROWNING IS SILENT! To prevent child-drowning, there is NO substitute for parental supervision. 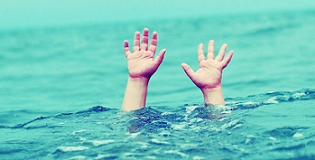 In some areas of the nation, drowning has been the leading cause of accidental death in children under 5 years old. The information below can help parents and caregivers provide young children with the protection they deserve. Each year, nationwide, more than 300 children under 5 years old drown in swimming pools. In addition, more than 2,000 children in that age group are treated in hospital emergency rooms for submersion injures. The following are just a few facts uncovered by the U.S. Consumer Product Safety Commission (CPSC) in a comprehensive study of drowning and submersion incidents involving children under 5 years old in Arizona, California, and Florida. Seventy-five percent of the submersion victims studied by CPSC were between 1 and 3 years old; 65 percent of this group were boys. Toddlers, in particular, often do something unexpected because their capabilities change daily. Pool submersions involving children happen quickly. A child can drown in the time it takes to answer a phone. Seventy-seven percent of the victims had been missing from sight for 5 minutes or less. Survival depends on rescuing the child quickly and restarting the breathing process, even while the child is still in the water. Seconds count in preventing death or brain damage. Child drowning is a silent death. There’s no splashing to alert anyone that the child is in trouble. This is why lifeguards are not babysitters. Last week I took my children to a small community water park. 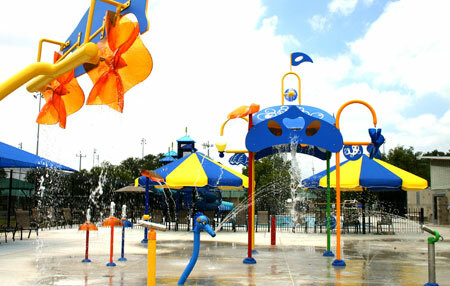 It’s a nice facility with a couple of big water slides, a lazy river, and a water playground for the little ones. The depth is only about 3 ½ feet at a maximum, so my 10-year-old twins are able to stand up easily everywhere in the pool. My four-year-old, however, is too short for the deeper sections, and had to stick to the little kids’ area, which was only about 18 inches deep. I had forgotten to bring her life jacket, so even in the shallow water, I stayed close enough to keep an eye on her. The municipal water park we visited had a number of lifeguards on duty. The lifeguards were attentive, and worked on a rotation so that they would always be alert. Still, I did not depend on them to babysit my kids. The lifeguards are there to make sure swimmers follow the safety rules and to help if anyone is in danger, but in a crowded pool even the best lifeguards can miss things. Such was the case in Manassas, Virginia in June. Lifeguards were on duty when a 4-year-old girl nearly drowned at the bottom of a community pool. But had it not been for the heroic action of another swimmer, a 9-year-old girl, the younger girl would have likely died. The young rescuer swam to the bottom and pulled the 4-year-old to the side, where lifeguards administered life-saving CPR. My first thought upon reading about the above case was probably the same as yours: Where was the mother of the little girl who nearly drowned? As it turned out, she was not even in the pool area when the accident happened. The 23-year-old mother had left all five of her children, ranging from 1 to 8 years old, unattended at the pool while she went to the front desk to check in a friend. Local authorities took the incident seriously. The police charged the mother with three counts of child neglect, one for each of her youngest three children. They made it clear that when it comes to very young kids, at least, children must not be left unattended at the pool even in the presence of lifeguards. I’ve always been the type of mom who gets in the pool with her kids. I know that pools can be very dangerous, and that little ones can drown even while using flotation devices. Besides, small children love to play with their parents in the water. It’s a great place to have fun and build happy memories. The same cannot be said if all your kids can see of you from the pool is the bottom of your feet and the backside of your swimsuit as you tan yourself on a chaise lounge. Everyone needs some time to relax, but the time to sunbathe, read a magazine or take a nap is not while your children play unattended in a pool. And leaving small children alone at the pool is completely unacceptable. If you have young kids, especially little ones who cannot yet swim, you should be in the pool with them, close enough to help if they get into trouble. Parenting is your job, and drowning can happen in seconds. 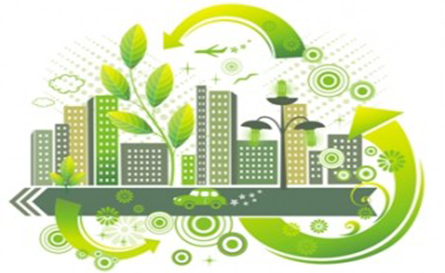 Dont Leave a Carbon Footprint when it comes to the operations of your aquatic facility. USA Management specializes in helping pool operators convert to a complete sanitizing system. Using harsh chemicals to balance your waters chemistry is not only expensive but it is also harmful to the environment and the people who come in contact with them. We can’t tell you how many times we have seen pool operators have chemical spills at facilities that have left behind holes in the floor, damage pump equipment and corrode electrical panels that why we as facility operators wanting to eliminate the use of harsh chemicals. Well, that time has arrived. The next phase in water sanitation has begun. No more buying, using or storing harsh chemicals ever again! Keep on top of your facilities with our web based controllers. Facility managers can pull up any facility at a moment’s notice from any internet connection in the world. Our controllers will also email and text message you if there is a problem at any of your facilities. No more wondering how your pools are doing because with this latest technology you will now know . Let us help your Facility enter the next phase in water sanitation. Is your aquatic facility going commercial? Commercial pools aren’t the same as residential ones … so it is not smart to treat them that way. During the recent economic downturn, residential pool construction came to a near halt and builders scrambled to fill the income gap. Commercial construction was seen as a way for under worked builders to remain profitable. 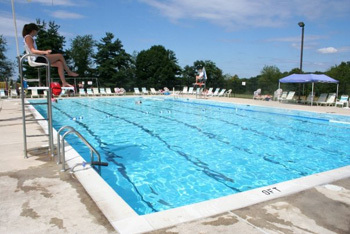 Smaller-scale commercial pools especially were sought out. For one thing, they are considered a stepping stone for residential builders hoping to break into commercial work. But also, to the naked eye, these pools don’t seem very different from their typical backyard counterparts. A hotel, motel, apartment or condo (HMAC) pool often will be approximately the same size as one found behind a single-family home. Seeing this, residential builders may believe they can proceed as normal on these projects. But that belief has spelled catastrophe on some properties, with pools having to be shut down for extensive renovations within six months. Mistakes are especially common with smaller commercial projects. Here, commercial veterans discuss the most common mistakes being made by residential builders making a not-so-graceful transition into this new territory. It’s true that if a builder is going to delve into the commercial realm, he or she should begin small. However, the notion that small commercial pools are the same as residential is far from the truth. Where the circulation system on a residential pool can be designed based on the size of the vessel, commercial pools must be made to accommodate bather load. Think about it: You’ve got a 20-by-40-foot backyard pool. How many people swim in it in an average day? Two maybe? You put that same 20-by-40-foot pool in a swim school or an aquatic therapy center, and they’ve got 150 people a day in it. However, inexperienced contractors may use the same equipment and plumbing sizes, figuring they can strive for the six-hour turnover rates as in a backyard. But even if this meets local code, the results can prove disastrous. This approach is especially problematic in pools at swim schools, aquatic therapy centers, summer camps and other facilities where a large number of people will use the vessels at the same time. At one swim school, for example, things fell apart within six months after construction was completed. Their staff was all sick, the water looked like pea soup by noon everyday. Something major is wrong with it. When investigated, it was found that the pool had a single residential filter. The pool needed 80 square feet of filter surface area, and it had 24 inches. When designing an HMAC pool, ask the owners for the maximum bather load they expect, then configure the circulation system to move enough water to accommodate that headcount. One formula says the system should generate approximately 1,400 gallons of water per day per person. The difference is illustrated on a pool that measures 20-by-40 feet and averages 4.5 feet in depth, thereby containing almost 27,000 gallons. If the builder merely seeks to turn that water over every six hours, it will be done at a rate of 75 gallons per minute. However, if that pool is designed to accommodate 300 swim students by circulating 1,400 gallons per student per day, the flow rate increases to 292 gpm. You can see where there is a big problem if you need to move 75 gpm. Of course, codes must be met. But in the case of high-usage pools, they often should be exceeded. Another problematic area is the amount of equipment. Some builders do allow for the higher turnover rates needed in commercial applications but, rather than installing a larger piece of commercial-grade equipment, they’ll put in lots of smaller pieces suited for backyard pools. Experts report seeing pump rooms with 10 residential-grade pump-and-filter assemblies rather than one or two commercial units. This is different than the redundant systems found on many commercial pools. With redundancy, designers create two complete systems that can handle all the circulation so that, if System A experiences problems, it can be repaired while System B does the work. Instead, residential builders will too often install multiples that must all work together. While it may seem that a solution like this can yield the same outcome, there are multiple reasons why it’s not the best plan for commercial pools. The first is based on simple logic: Ten pieces of equipment instead of one means 10 times the maintenance and opportunity for failure. Additionally, there’s a reason commercial-grade equipment costs more than residential — it’s made of better stuff. Plastics found on residential parts may be countered with metal on comparable commercial equipment. The units are meant to take a beating for a long time. On the upside, this also means builders can differentiate themselves by offering more impressive warranties against a backdrop of price-oriented competitors. Commercial equipment also is designed specifically for the needs of these applications. For instance, larger, deeper filter beds in commercial units allow for a deep cleaning and removal of small particulate matter that can’t be duplicated with multiple smaller units, experts say. Commercial heaters are made to be more efficient. And commercial-grade chemical feeders operate on a whole different plane, designed to feed more chemical more often to meet higher demands. Plus, they don’t dispense trichlor, which is not appropriate in commercial settings. Finally, plumbing with multiples is actually going to be more difficult in one sense — that the installers must plumb the system for even distribution through each of the multiple filters. Plumbing issues constitute the most frequently made mistakes residential builders make when moving over to commercial projects. Here again, it’s fairly common for builders to misuse the multiples approach. Moving the higher volumes of water often requires pipe sizes virtually unheard of in the residential world, with diameters starting at 6 inches and sometimes reaching 12. But pipe, fittings and valves of those sizes are much more expensive than their 2- and 3-inch counterparts, and installing them tends to require more people and different techniques. So some builders will stay in their comfort zone, opting to use multiple 2- and 3-inch lines instead. Here again, the problems with doing this are both logistical and theoretical. Often, builders will install four 2-inch lines in lieu of a single 8-inch line. That is a lot more pipe, which is more prone to make a giant mess. But more importantly, the basic approach is flawed. If one wants to duplicate the pipe capacity of an 8-inch line, it doesn’t take four 2-inch lines or two 4-inch lines. It takes eight 2-inch lines or four 4-inch lines. Think about reducing or enlarging photographs on a computer: When a person indicates they want a 50-percent reduction, that means its height and width will each be reduced by half, actually making the photo ¼ of the size in terms of square inches. So it would take four of those reduced images to take up the space of the original. The same basic principle holds for plumbing: If pipe A has half the diameter of pipe B, it will actually have only ¼ of the capacity. So when builders decide to replace larger pipe, fittings and valves with the smaller lines they’re used to, they actually often underplumb the system. A professional can’t move from one world to the other without proper preparation. People have to understand how the whole system works. 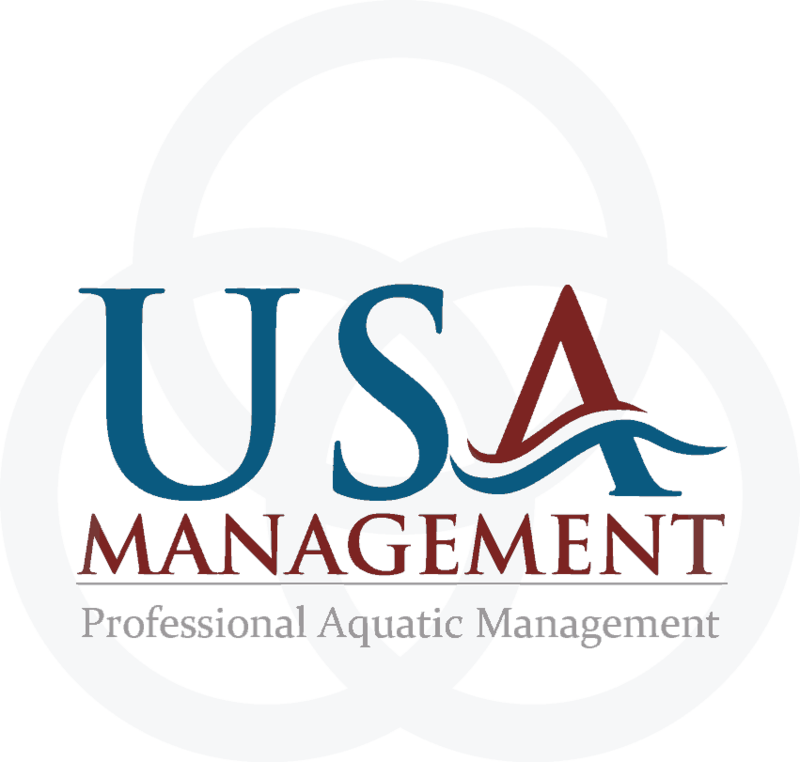 Join USA Management in having a vested interest in child water safety. There is no way to guarantee a child will be safe in an aquatic environment. However, there are ways to decrease the risks associated with visiting a pool. As aquatics professionals, we constantly teach lifeguards how to respond when someone is in distress, but rarely do we look at what we can do to prevent the situation from occurring in the first place. 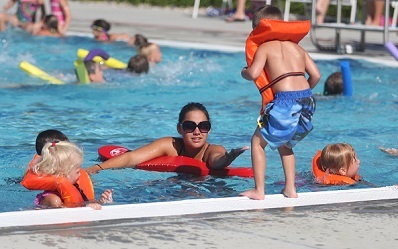 By using a nationally recognized life jacket program, aquatics facilities will cut its number of water rescues drastically and, in turn, made recreational centers a safer place. 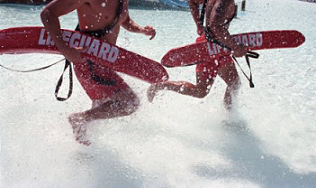 Over the course of nine months, our lifeguards entered the water 17 times. While making these rescues, the zones they were responsible for were left minimally supervised and, as a result, put patrons in those areas at risk. Our records indicate that the patrons who were rescued ranged from age 2 to 69, with the highest rescue percentage (76 percent) coming from children under the age of 7 years old. All non-swimmers under 48 inches tall must wear a USCG-approved Type III life jacket and remain within arm’s reach of a supervising adult when in water greater than 24 inches deep. Swimmers under 48 inches tall have the option to pass a swim test to opt out of wearing a life jacket. The swim test includes a 25-yard swim (proficient front crawl with rhythmic breathing), jump into deep water, resurface, and tread water for 1 minute with head above water. After careful consideration, the center chose to adopt the modified Note & Float program for aquatic parties. Party attendees were chosen as our primary target audience not only because we host a lot of parties (nearly 700), but also due to the high drowning incident rates associated with special events. Since the start of Note & Float, we’ve seen a significant drop in the number of water rescues at our facility (81 percent of water rescues came before the introduction of Note & Float). The program itself has been generally accepted by our patrons, but as expected, there has been some resistance from party participants. Typically, situations arise when parties contain mostly swimmers over 48 inches tall (who do not need to wear a life jacket), but also have a few nonswimmers under 48 inches (who are required to wear life jackets). Parents of the smaller, and usually younger, children feel that we are excluding their children from the rest of the party by forcing those under 48 inches tall to wear life jackets and stay near a parent. Through the controversy, though, an unexpected result has occurred: Not only has Note & Float made a positive impact on parties, but it also has increased the popularity of life jackets among our members. More and more, we’ve seen a lot of parents bringing their children in life jackets (as opposed to water wings), or asking to borrow life jackets from the facility. We can proudly say that by introducing this program to patrons, we’ve improved the overall acceptance of life jackets throughout the aquatics center. Adopting a life jacket program is something we think all aquatics facilities should consider. Focusing on any high-risk group is a good idea to increase water safety. Starting this water safety program will make a big impact on safety. As you see from the story above, introducing life jackets to a specific group of patrons produced a positive result far beyond the small number of people they originally set out to reach. 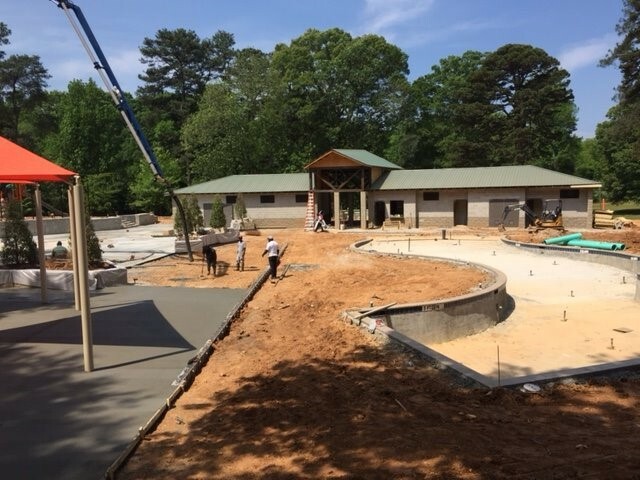 Are you considering updating your Aquatic Facility? How can you differentiate your old “out dated” pool from the shiny new water park that was built a couple of miles away? Think about offering community events at your facility? A family movie night at the pool, a community picnic with a theme are a couple of examples that will help draw interest to your pool. Think outside the box when looking for ideas. No, scratch that, there is no box. Be creative and involve everyone within your staff to come up with ideas. Generally aquatic staff are younger and can have great insight into what will draw the younger crowd as well as what it keeping them away. 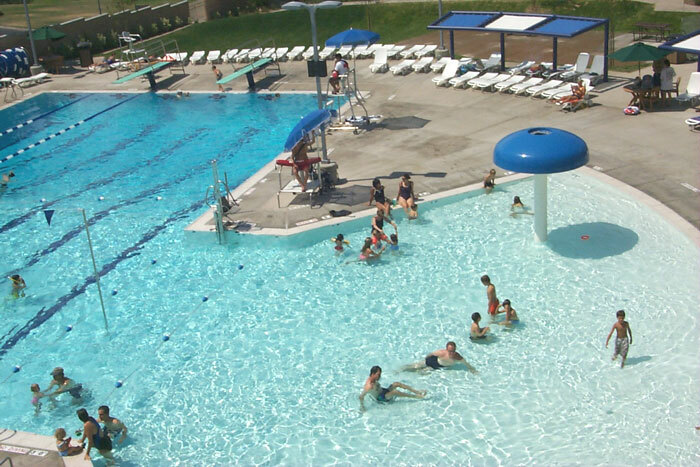 Gone are the days where a basic lap pool is enough to generate the needed revenue to support the cost to operate an aquatic facility or community pool. It is essential that each facility takes into consideration what their patrons are looking for. What are the current members looking for from your facility? What age groups do you want to target for new memberships? Do you want to make your facility more family oriented, or is there another demographic you are looking to attract? These are all important questions that you have to ask in search of what will work for your facility. Water features provide a way for you to bring your facility back to life and generate needed additional revenue. First you must review your existing features such as diving boards and slides to evaluate their current usefulness as well as safety concerns. There are a great deal of options that can make your facility more appealing to existing member’s while attracting new membership. Here are some considerations when looking to add water features to your existing facility. Do you have the available space for your water feature? What footprint will the feature take up? Can your feature be updated to keep it challenging? Cost is certainly a concern but you must consider the return on investment. How are you going to get the word out about your new feature? We are always talking to our clients about what they are doing to increase the buzz at their facilities. Adding new programs and features seem to be the constant mantra from all of them. What are you going to do differently to ensure success at your aquatic facility? Isn’t it time that you think about what you can do to make your facility success? We would love your feedback on what has worked for you and what has not. When it comes to special aquatic programs and events, the goal is to create a memorable experience that sets you apart from everyone else in town. For example, did you know Santa can swim? 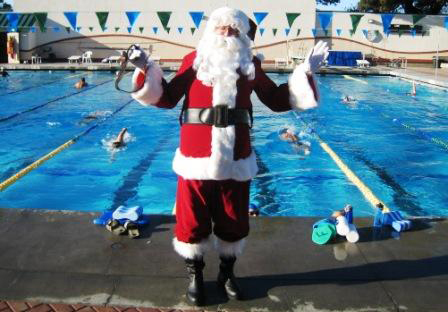 Instead of just having Santa visit for a holiday party, hire a swimming Santa who will hop in the water and pose for photos in the pool with the kiddos. Birthday splash parties are another way to generate revenue. Parents will gladly pay for value and convenience, so make sure the cost to the customer is packed with value. A package that includes themed decorations, room rental, food and swimming will practically sell itself. Scout merit badge programs also are wildly popular. Design a special aquatic program that meets all the badge requirements of the Boy and/or Girl Scouts. Usually in under an hour, the Scout has earned a new badge and your facility is bringing in new dollars. Specialized aquatic fitness classes are another option to boost revenue, and make a tremendous difference in the community. One idea might be to create pocket water fitness classes for groups such as cancer survivors or new and expectant mothers. These individuals may be facing significant physical changes that could make it uncomfortable to be around others when in swimsuits. Specialized classes offer a supportive and safe environment that will help foster a healthy mind and body. You might also consider offering kayak clubs or scuba classes.These activities can take up a considerable amount of programming space, so you’ll want to look at scheduling them during slow times, such as on Sunday mornings before the pool is open for general swimming. The clubs pay a premium for space and your profit margins increase due to low staffing requirements. Beyond the specialized options, think about becoming a hub for general health, fitness and safety by offering a mix of dry options. Use classroom or deck space — and consider partnering with your local American Red Cross to provide community classes such as pet CPR, baby-sitting and first aid. Once the people are at your facility, it’s the perfect opportunity to showcase your aquatic offerings. Finally, tap into the power of free “teaser classes.”Parents waiting for kids in swim lessons are a great audience. When they want to learn more, provide help registering them for the next regular class session. Create simple, inexpensive business partnerships and sponsorships for your camps, classes and operations. 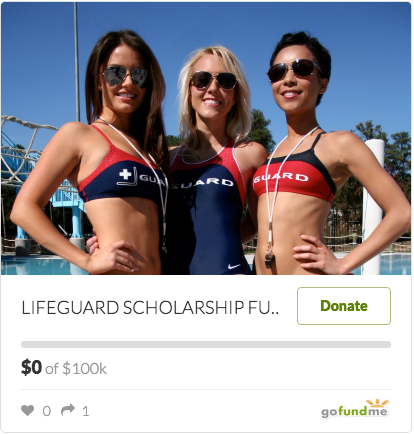 It’s likely that an entity such as a local bank would jump at the chance to sponsor swim lessons for $1 or $2 per child. This type of sponsorship helps keep the fees reasonable for customers, and your bottom line will see a big increase. Beverage vendors are a great asset to any special event. Most have in-house print shops that can create professionally designed signs and banners for your programs — leaving you with more dollars to spend adding value to the occasion. Donations and in-kind support can provide valuable revenue, but like partnerships, these are two-way ventures. Free passes to the pool are always a hot item, but make sure free passes are just that, free. Stipulations of a “buy one, get one free” (BOGO) or limiting when recipients can redeem the ticket likely will devalue the incentive. One great way to utilize donations is to visit local classrooms and present on water safety topics, then hand out free tickets to come to the pool. Look at your donations as an opportunity to gain new customers and generate new dollars. When people use the free pass to come to the pool, you can further encourage them to visit concessions, sign up for a class or purchase a birthday party package. Programming must be high quality and value-packed. Strive to make your classes and events memorable. Look for innovative ways to add value. What would you want if you were a customer at your pool? Create public awareness through donations and partnerships.Use creative ways to get folks through the doors, and then show them everything your facility has to offer.